Multistrada 1260-1200-950 Urban accessory package. 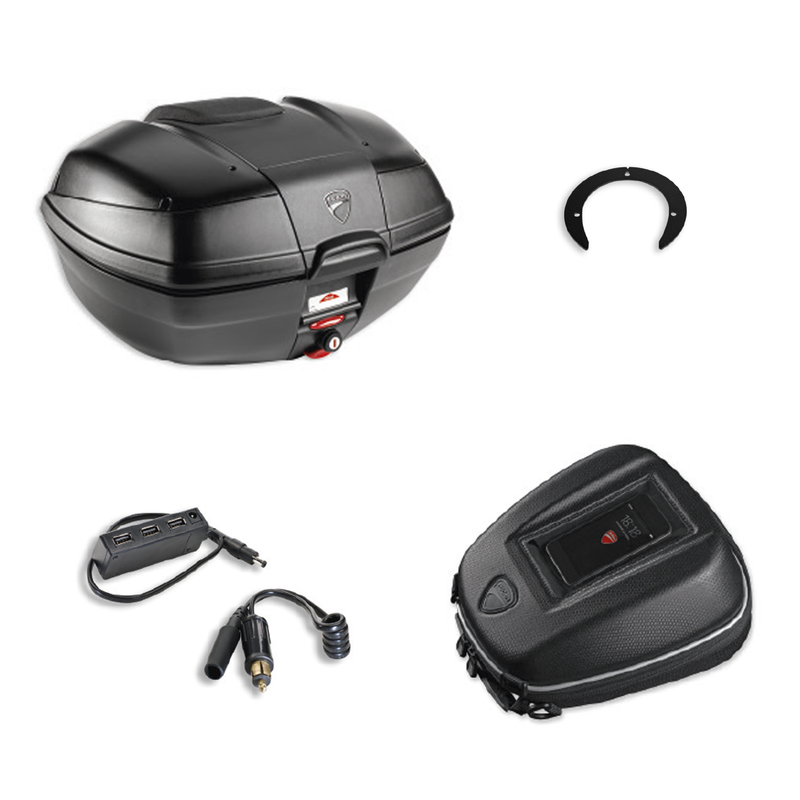 The package contains: rear case, tank pocket bag, power extension with USB outlet, “Tanklock®” flange. The package includes top case without cover; to be matched to cover in the required colour.